(Photo: REUTERS / Stringer)Iraqi security forces and Shi'ite militias pull down a flag belonging to Islamic State militants at Amerli September 1, 2014. U.S. President Barack Obama on Monday formally notified Congress that he had authorized targeted air strikes in Iraq to help deliver a humanitarian aid to the besieged Shi'ite town of Amerli, the White House said in a statement. Iraqi security forces backed by Shi'ite militias on Sunday broke the two-month siege of Amerli by Islamic State militants and entered the northern town, after U.S. military carried out air strikes on IS militant positions near the town and airdropped humanitarian supplies to the trapped residents there. Muslim scholars in Britain have issued a fatwa condemning members of militant group Islamic State for waging jihad in Iraq and Syria in the name of Islam. Shaikh Osama Hasan, a former imam and now a senior researcher at the Quilliam Foundation, issued the fatwa on Sunday, Gulf News reported. Hasan was supported by six other Islamic scholars in Britain. The fatwa is an edict on the Islamic way of life and it describes the IS as "heretical" and "an oppressive and tyrannical group." It states that it is "haram" and British Muslims are prohibited from supporting or joining the IS. The fatwa also states that although Muslims have a "moral obligation" to help the Iraqi and Syrian people, they should also not "betray their own societies." Former British Foreign Minister Baroness Sayeeda Warsi praised the edict saying she echoes the words of the religious leaders. Meanwhile, UK Prime Minister David Cameron is considering a temporary ban on British jihadists fighting for groups like the IS going back to Britain. The prime minister is also expected to lay down plans on seizing passports of suspected terrorists to stop them from entering other countries. 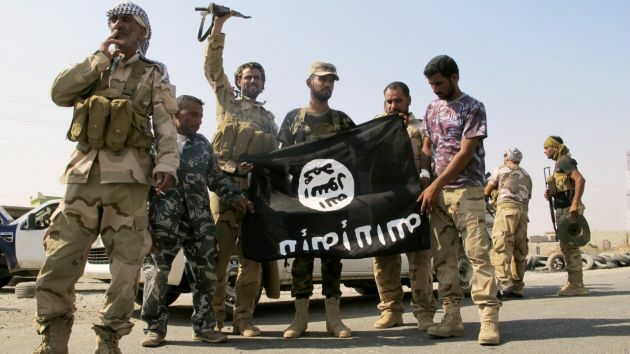 The UK Foreign Office has revealed that between 400 and 500 British men are believed to have joined the IS. "The government is considering a range of measures to keep the country safe in the face of an increased threat level from Islamist extremism," a government source told the BBC. We are also looking at stopping British citizens from re-entering the country if they are suspected of terrorist activity abroad," the source added. Other Muslim leaders have also issued fatwas condemning the IS. On Saturday, a Muslim cleric in India issued a fatwa asking his community members to boycott the IS and other terrorist organizations. All India Sunni Jam-e-yyathul Ulema Shaikh Abu Bakr Ahmad said the IS are not just "anti-Islamic but are enemies of humanity as well." Last month, Saudi Grand Mufti Shaikh Abdul Aziz Shaikh issued a fatwa saying that IS is Islam's "enemy number one."